France Telecom’s Orange, one of the biggest mobile phone operators in Europe, has partnered with Wikimedia to provide Wikipedia content through co-branded channels on Orange’s mobile phones and web sites. 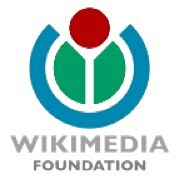 Through a revenue-sharing arrangement, the non-profit Wikimedia foundation will get a cut of some of the advertising dollars (or Euros) generated by its content. Orange will create specific Wikipedia content channels on Orange’s web and mobile portals. Orange will also develop widgets to help customers access Wikipedia content directly from Orange’s portals. Initially, the Wikipedia content and widgets will only be provided to customers in France, Spain, the UK, and Poland but will be rolled out to the rest of Orange’s European footprint at a later point. It seems like a good deal for Wikipedia. Orange’s reach is widespread-Orange has 122 million mobile customers, including 26.7 million users that use a broadband wireless connection. Orange says that two-thirds of mobile devices on the market in Europe are web enabled. Wikimedia has dabbled in the mobile space, creating a mobile formatted site. And there are a few iPhone Wiki apps (note, not made by Wikipedia) that let you browse Wikipedia, including ones made by WikiPock (which also donates a portion of its revenues to the Wikimedia Foundation), Powerset, WikiTap, and WikiMobile.